Sandra Harding’s Objectivity and Diversity deals with the epistemic and political limitations of a conception of scientific objectivity that, according to the author, is still in force in our societies. However, in this conception of objectivity, diversity (e.g., of individuals and communities of knowledge, but also, and especially, agendas, models of participation and even styles of reasoning in decision making) still plays a limited and undeserved role. The emergence of new forms of participation in science (i.e. “civic science” and “citizen science”) seems to warn us that any ideal of scientific objectivity that does not consistently meet the demands of pluralism and diversity posed by multicultural democracies is doomed to epistemic failure. The diagnosis Harding offers us in her latest book is retrospective and prospective. The persuasive power of the proposed case studies is based on these two factors as well as on the interest of her reviews and on the socio-political relevance of the research program proposed by the author, a program whose motto constitutes the subtitle of the book: “Another Logic of Scientific Research” (is possible). Moreover, didn´t modern Western science also have some degree of responsibility for the effective gas chambers, efficiently running trains, and talented munitions industries through which the holocaust was enacted? (…) Was the value-free autonomy-of-science stance taken by leaders of the scientific community simply an attempt to distract attention from the actual working of modern Western science and technology institutions, and to encourage the scientist, Congress, and the public to be as ignorant as possible about such workings? Was it a major attempt to promote anti-intellectualism? Thus an exceptionalist and triumphalist philosophy of science was propagated precisely at the moment when research in the United States and Europe was becoming more deeply directed by nationalist, military, and corporate economic and political values and interest. The logical empiricist philosophy of science helpfully aligned itself with economic and political projects of its era. As mentioned, the diagnosis made by Harding in Objectivity and Diversity is also prospective. The author defines and projects a research agenda where objectivity and diversity are no longer seen as mutually antagonistic concepts but as elements “mutually supportive.” Sandra Harding thinks that the impact that diversity has on the scientific activity (in any historical context of past, present and/or future) does not constitute a threat. Diversity is necessary to articulate the logic of scientific research according to an ideal of objectivity truly robust condition. Another example where you can appreciate the nature of the deep retrospective and prospective analysis which can be found in Objectivity and Diversity is that of epistemic accumulation. This form of accumulation was a consequence of the effects of globalization on scientific research that took place with the colonial expansion of the various European nations from the sixteenth century. “Indigenous astronomy, mapping, agriculture, botany, and many other kinds of knowledge were appropriated directly into modern Western sciences during those periods.” Globalization entails a kind of second form of epistemic primitive accumulation with consequences for the development of science and technology. This is also the conclusion made by David Hess. Undoubtedly, in the notion of epistemic accumulation is implicit the idea that with any new appropriation process, expansion and colonization can generate a new process of epistemic accumulation. Harding states that any form of colonization entails a form of epistemic accumulation; however, in order to provide this analysis with prospective relevance it is necessary to ask whether new research and scientific policy agendas can be made that meet the interests of the “newcomers.” Harding sees signs favourable to that thesis in what might be called epistemic modernization, a process marked by public demands for a change in the style of communication between scientists and citizens. It can be inferred that this is an example of how diversity and objectivity can function as elements “mutually supportive” when it comes to expanding and transforming the communication channels. In our view, one of the most innovative and inspiring aspects of the book lies in the nature of its approaches. 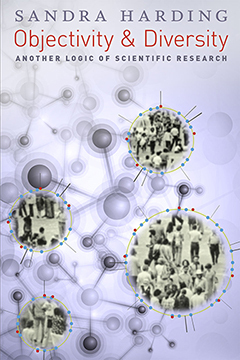 The old antagonistic relationship between objectivity and diversity is presented in this book as a relationship of complementarity precisely because philosophy of science has always developed in social settings, under the pressure of political and economic demands from which it cannot be isolated. The challenge is precisely that philosophers of science capture and commit to a notion of objectivity that does not ignore the epistemic achievements carried out in important areas of political philosophy such as feminism, social epistemology, or postcolonial studies in science and technology. This is the intellectual commitment that the author shows in this book (a strong commitment to objectivity). This commitment to “strong objectivity” is the base for the normative force of the two dimensions of her diagnosis: the retrospective dimension, committed to the critical interpretation of the logic of scientific research in the recent past (all past is recent); and the prospective dimension, aimed at forecasting and anticipating the moral, social, political, and economic effects derived from the normative dimension of all forms of research carried out within a system of knowledge. Both standpoint theory and “strong objectivity” do the majority of the heavy lifting in Objectivity and Diversity. Standpoint theory, inspired in part by Marx’s “standpoint of the proletariat,” demands a reorienting of the criteria for objectivity as initiating from research outside of the dominant cultural and political paradigm. Harding’s “strong objectivity,” which emerges from standpoint theory, is offered here as both methodology and critique of this dominant paradigm. Once we critically reassess the history and philosophy of Western science, we discover that the mythology of value-free, pure, or ideal science, is rooted deeply in the politics, economics, and values of the dominant Western culture of science and technology. Modernization theories have held that as Western scientific rationality and technical expertise have disseminated around the globe through so-called development projects, they will replace the myth, magic, and superstition that have played such a big role in maintaining the supposedly backward and primitive non-Western societies and their inferior knowledge systems. Harding argues that the allegedly apolitical conceptions objectivity used by the dominant Western paradigm to critique indigenous knowledge systems discounts how often Western societies co-opt indigenous knowledge (particularly in the case of indigenous botany and Western corporate interests in the medical and health sciences, e.g., “Big Pharma”) as well as how those indigenous knowledge systems provide valuable social and political resources for local inhabitants. They provide, so to speak, cultural repositories for local ethical, spiritual, and religious traditions. Successfully addressing women’s poverty requires strategies different from those that most benefit men. It is one thing to recognize the gender inequality in the distribution of poverty. However, mainstream approaches have tended to avoid treating women’s needs and desires as revealing sources of information about how to reduce poverty. Rather, they tend to draw on false gender stereotypes in their strategies … Feminist analyses have demonstrated again and again that policies that do not directly address the distinctive needs and desires of women in face rarely benefit women and their dependents equally, if at all. The feminist-influenced shift in research methodology, inspired by the women’s movements in the 1960s, demanded that scientific research focus on the margins of experience to capture epistemic content that is too often left out. This is the philosophical work of standpoint theory and “strong objectivity.” Harding argues that those on the margins ask different questions and employ different methodologies than those in the current dominant paradigm and that the diversity and pluralism of epistemic voices is key for maximizing objectivity. Thus, in order to move toward a better conception of objectivity and better logic of scientific research, we must first recognize that (1) objectivity as a criterion has always had a politics and that that politics has been dominated by a Western androcentric view of science and objectivity, and that (2) the marginalization of diverse knowers hinders rather than helps our aims for objectivity in scientific research. Pluralism in terms of methodology and diversity in terms of knowers will allow us to achieve this maximal objectivity. Attention in our analyses to issues of intersectionality improves the quality of research. It works against irresponsible universalizing tendencies in our thinking and practice. And it can induce a welcome dose of modesty about the ability of our work to provide the “one true account” that perfectly reflects reality at any particular moment…one can begin to see how knowers are not fundamentally autonomous, self-creating, culture-free individuals…these accounts draw attention to the researchers’ inevitable and necessary interactions with networks, communities, or social movements in the production of knowledge.